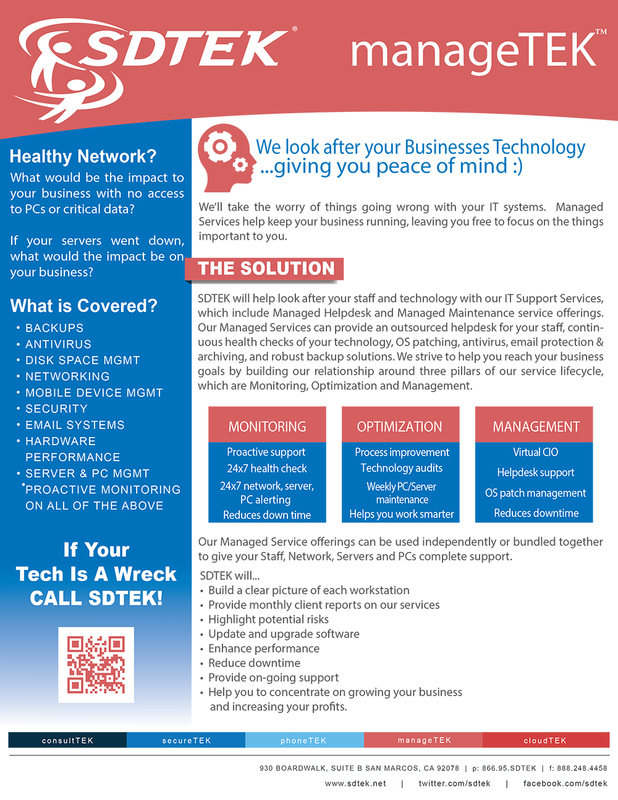 Looking for a complete, scalable business VoIP Phone System Solution? 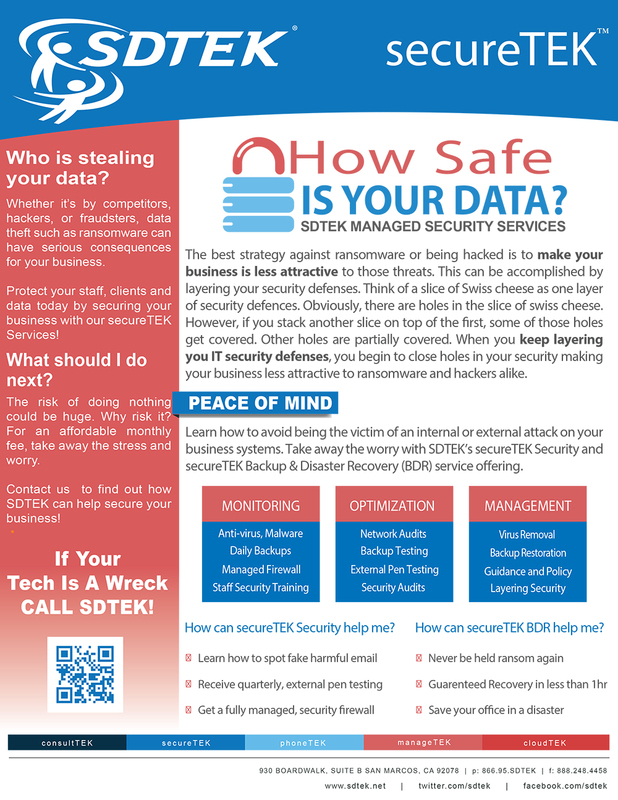 SDTEK is the leading Switchvox™ business VoIP phone system provider in San Diego area. 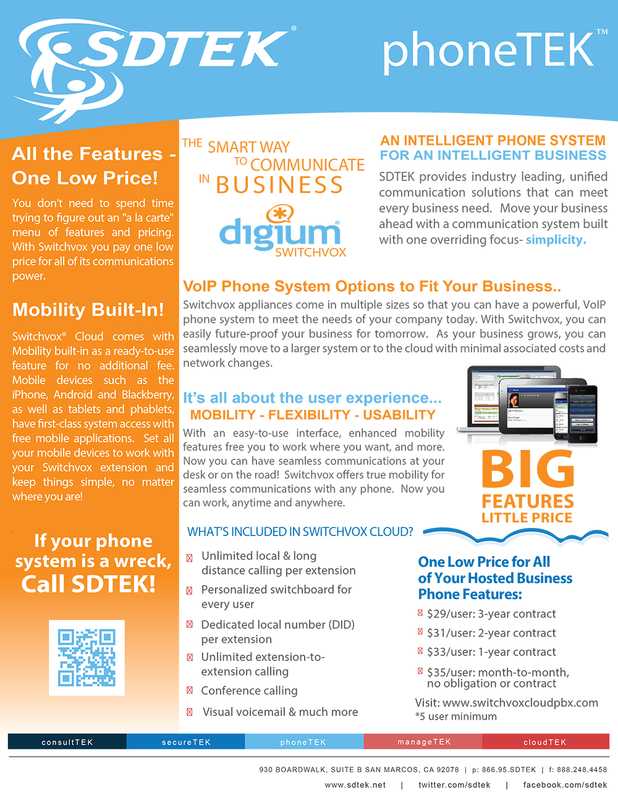 Switchvox by Digium® is a complete business phone system. You get all the features you would expect from systems like Cisco, unlocked in one appliance for one price. With the scalability of Switchvox, you can go from 1 to 600 users or a single home office to a PBX capable of spanning a global network. With our Switchvox solution, you have access to award-winning phone service wherever you need to be. You get all the features of an enterprise VoIP PBX on your phone system in office, on mobile or tablet, or anywhere you have an internet or telephone connection! 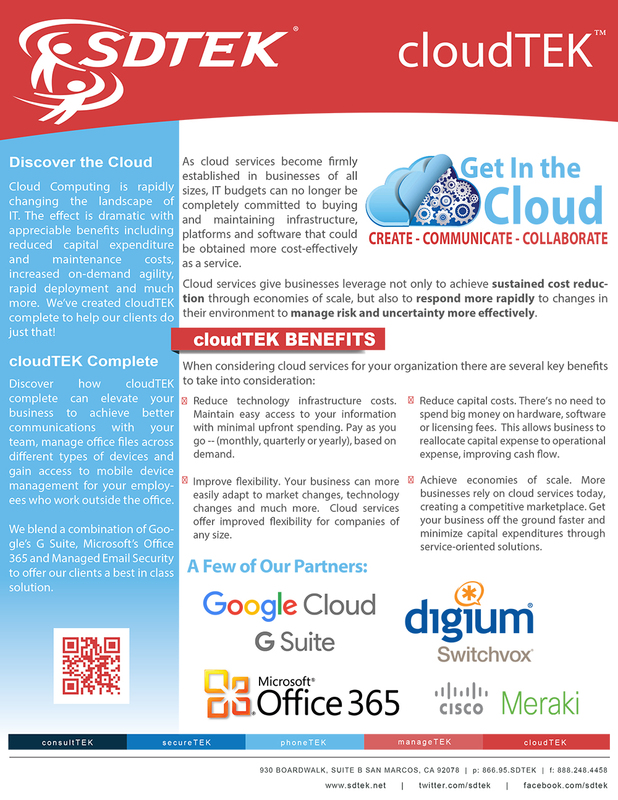 What does your Switchvox business phone system look like? Let us help you get started. Fill out the form below to obtain an over-the-phone consultation and quote. 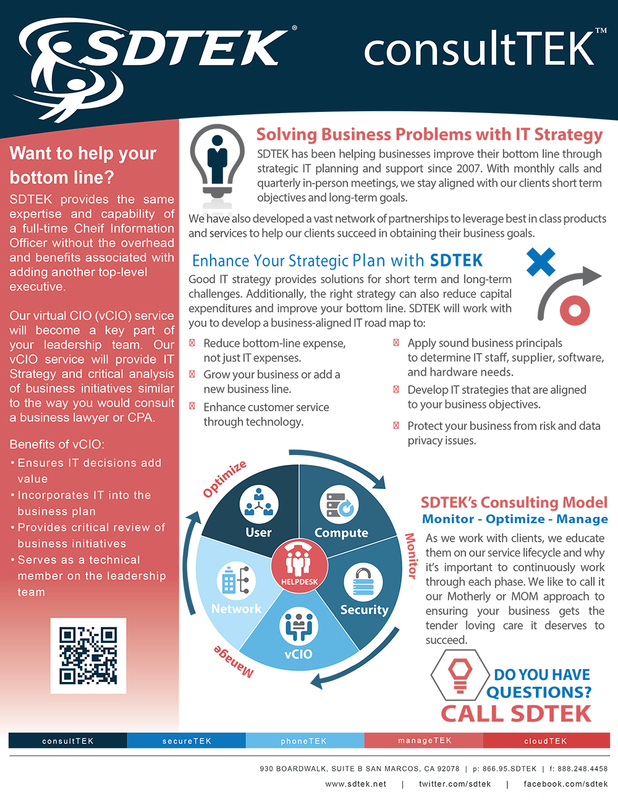 Read about how SDTek has helped other San Diego area businesses vastly improve their phone systems. We provide complete business phone systems that include all the features for one price. Our reputation speaks for itself. From start to finish we can have a business phone system installed in as little as 2 weeks. We stand by our product ready to provide support where needed and we go the extra mile to make sure the project is a success. We enjoy happy customers and hope we have an opportunity for you to become our next happy customer!